According to local reports, Santa Cruz, CA has seen a 25% increase in recycled mattresses citywide since 2016 thanks to a new bed recycling initiative. 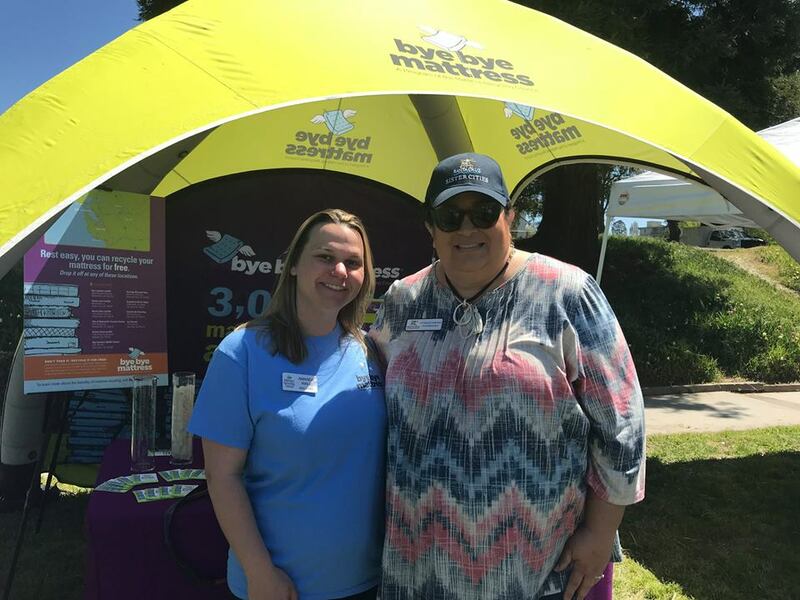 Bye Bye Mattress began operating in the city in 2016 and is run by the Mattress Recycling Council, a non-profit that educates industry professionals on recycling laws and works with local governments to establish mattress recycling programs. 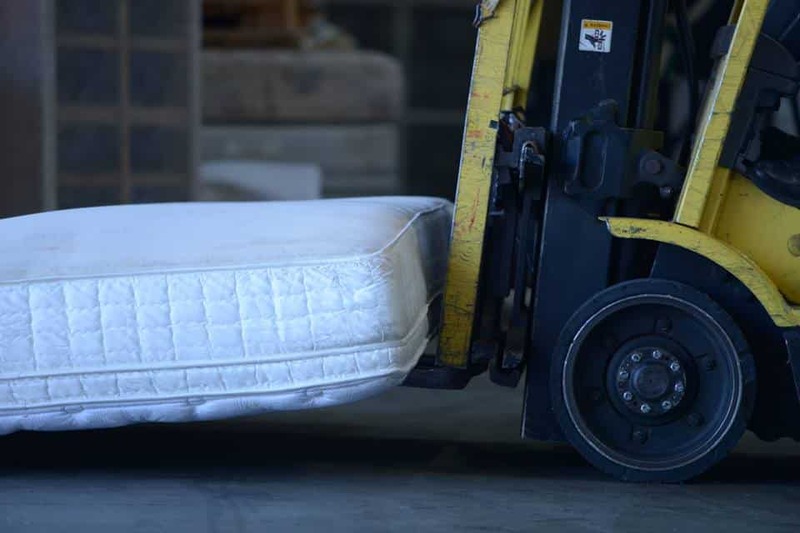 The council currently powers programs in California, Connecticut, and Rhode Island, the only three states in the U.S. that have enacted explicit mattress recycling legislation. To better understand the relationship between the MRC, local governments, and programs such as Bye Bye Mattress, I spoke with a variety of local and national stakeholders. In California specifically, any and all conversations about mattress recycling must begin with the Used Mattress Recovery & Recycling Act, a law passed by the state in 2013 to force the mattress industry to address and deal with the waste produced by discarded beds and box springs. The bill was sponsored by non-profit group Californians Against Waste (CAW) and former state senator Loni Hancock, who represented the 9th Senate District in the northern East Bay from 2008-2016. In California, we’ve got nearly 40 million people, which means we’ve got millions of beds that reach the end of their lives in any given year. Before the law, many of these beds were illegally dumped… which was not only a waste of resources and a major eyesore for communities, but also cost the taxpayer a lot of money in cleanup. Image provided courtesy of Mattress Recycling Council Facebook page. To ameliorate this issue—and comply with the requirements of the 2013 legislation—the International Sleep Products Association (ISPA) established the Mattress Recycling Council on behalf of the mattress industry, which then proposed the Bye Bye Mattress program to CalRecycle. The initiative was approved in 2015, setting into motion an overhaul of how discarded beds were managed statewide. That the program is run by the industry is an important distinction, asserted McBee, as it takes the stress off taxpayers and puts it on those creating the debris in the first place. This idea—commonly referred to as “product stewardship”— ensures that when a manufacturer makes a good, they’re also thinking about the costs associated with the end of the life of the product. So far, the results are impressive. As mentioned above, Santa Cruz saw a 900 unit spike in 2017, adding up to over 5,000 recycled box springs and beds. Klug told me that cities across the state have seen similar results, with Bye Bye Mattress gathering over 1.3 million units last year alone (compared to just 88,000 from other programs). What’s the secret sauce? A combo of demystification (through an aggressive public education campaign), increased accessibility (thanks to a string of new recycling centers), and affordability (with the elimination of drop-off fees and the adoption of a $10.50 recycling fee at purchase). As the program continues to grow, CalRecycle anticipates annual 15% increases of recycled mattresses through 2020. BYE BYE MATTRESS, HELLO NEW RECYCLING MODEL? Bye Bye Mattress and the Mattress Recycling Council at large may still be in their infancy, but they’ve made quite the impact thus far. After setting up programs across California, the MRC took an active role in pushing recycling legislation in Connecticut and Rhode Island, where Bye Bye Mattress is now thriving. The group’s Marketing & Communications Manager Amanda Wall explained to me that the success comes in keeping things local, even as the organization was built by and for the industry. Also from Sleepopolis: The Casper Mattress, Reviewed! While the aim is to have operational programs in every California county, Wall said the sheer size of the state is making this a slow process. However, in Rhode Island and Connecticut, Bye Bye Mattress has been able to set up shop all over, with what Wall described as “strong, strong participation” from constituents. According to Clarke, this participation stems from people knowing and understanding how they contribute to the program’s up-keep, a transparency that isn’t always apparent in other environmental initiatives. While one might assume this momentum would result in a proliferation of similar programs throughout the United States, both Wall and Clarke admitted that’s not the case. And not for a lack of wanting to bring mattress recycling to more communities, but because Bye Bye Mattress is fully dependent upon the states themselves. But, it’s not all bleak. In Massachusetts, for example, there’s a resolution to study mattress recycling and what effects it would have on the local infrastructure. If and when this measure passes, MRC will be ready to jump in and get programs started. Until then, the team will continue to monitor and improve its efforts in California, Rhode Island, and Connecticut. For those who live outside these jurisdictions, Clarke says there are still ways to ensure that your mattress doesn’t wind up in a landfill.